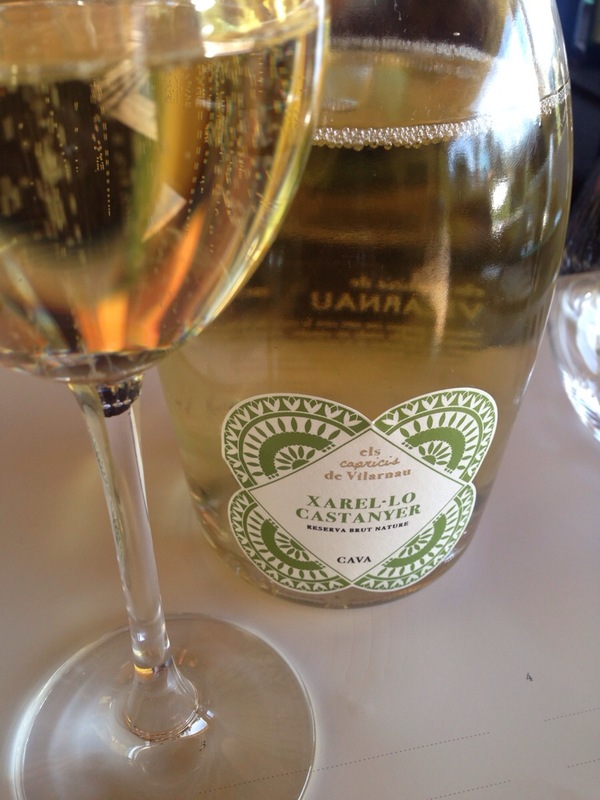 Yesterday I visited cava producer Vilarnau in Penedes, Spain (post here). 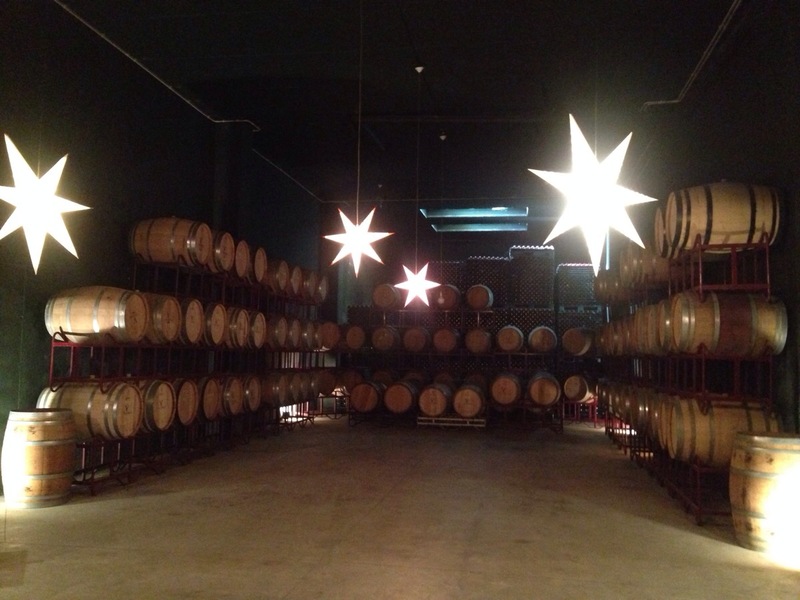 After my tour of the grounds and winery, it was time for a tasting of their cavas. 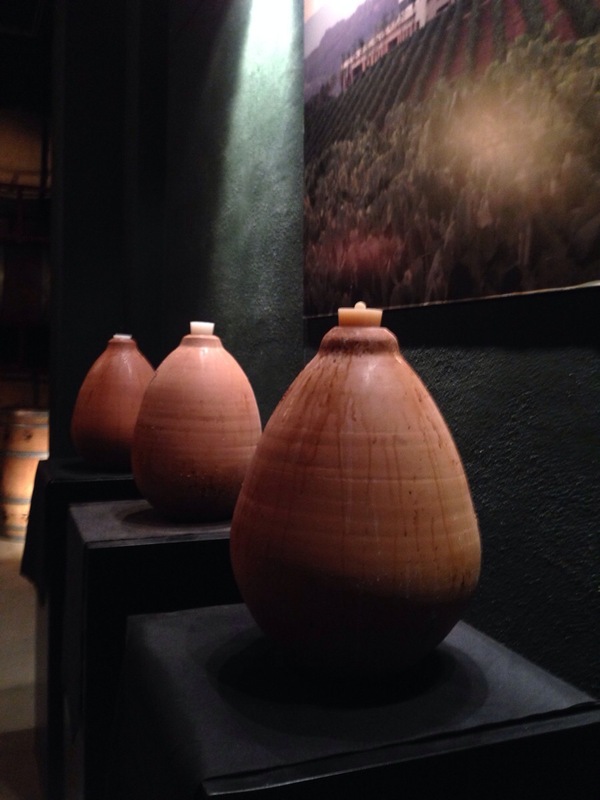 As we were walking through the cellar to the tasting room, we passed by a collection of clay vases that were sitting under a set of spotlights. Curious, I asked my guide, Vilarnau winemaker Eva Plazas Torné, if they were some sort of archeology display. With a laugh, she explained that they were actually an experiment that they was currently conducting with the xarello grape. 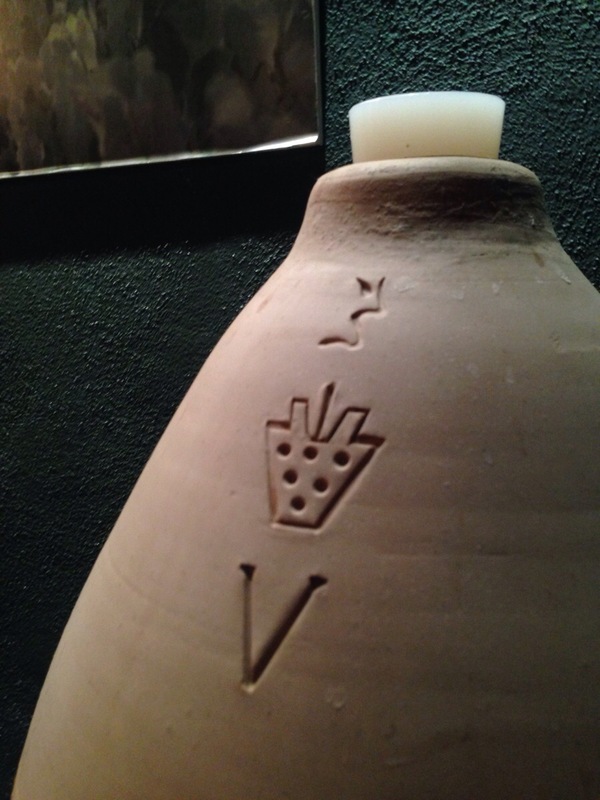 Eva explained to me that she was experimenting with fermentation in amphora made from the various soils of Penedes. I asked her if it she had gotten the idea from the Georgians but she told me that she had gotten the idea from a local potter that she knew, she liked his work and asked him if he could make amphora for her. Her idea is to make amphora from the different soils of Penedes and ferment the xarello in a distinct amphora to see how the fermentation goes. Already, Eva says that one of the xarello’s (the one in the amphora mostly composed of clay) has almost finished malo while the others have changed to different degrees but not gone through malo. Eva hopes to find the best soil for the amphora and ferment the xarello in it. If things go to plan, she’s hopes to use 300 litre amphora next year. The experimental amphora this year are only 15 litres. After fermentation in the amphora, she would than do the second ferment in bottle. It will be interesting to see how/if this experiment is successful. As for Eva, she admitted that she’s just as curious as me to see how it will turn out. 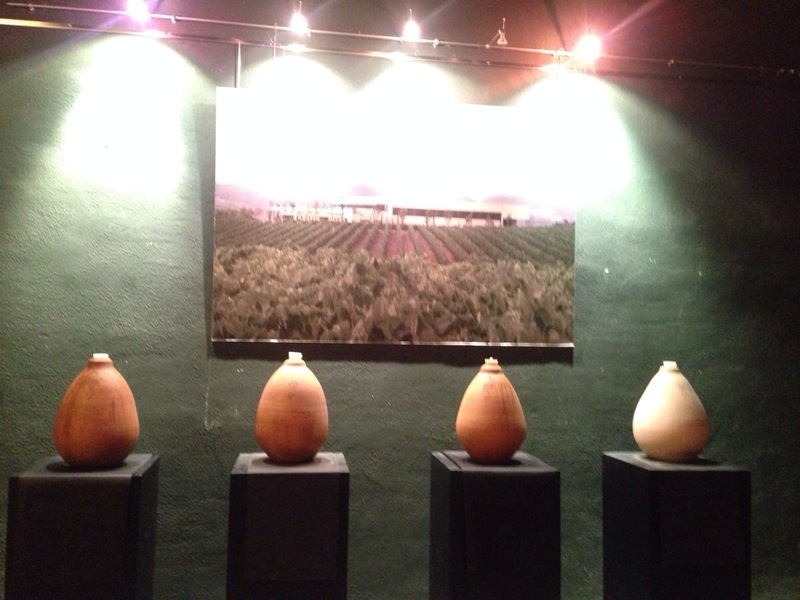 Almost directly in front of the amphora was another experiment of Vilarnau, chestnut barrels. Eva explained that in the region a hundred years ago,they used to use chestnut instead of oak for barrel aging when making cava. Eva prefers the chestnut because it has a looser grain and she thinks that xarello needs room to breathe. They have just released both a cava and a still wine aged in chestnut. Both are 100% xarello with 25% of the xarello aged in barrel and 75% aged in tank. Both were just released to the public last month. 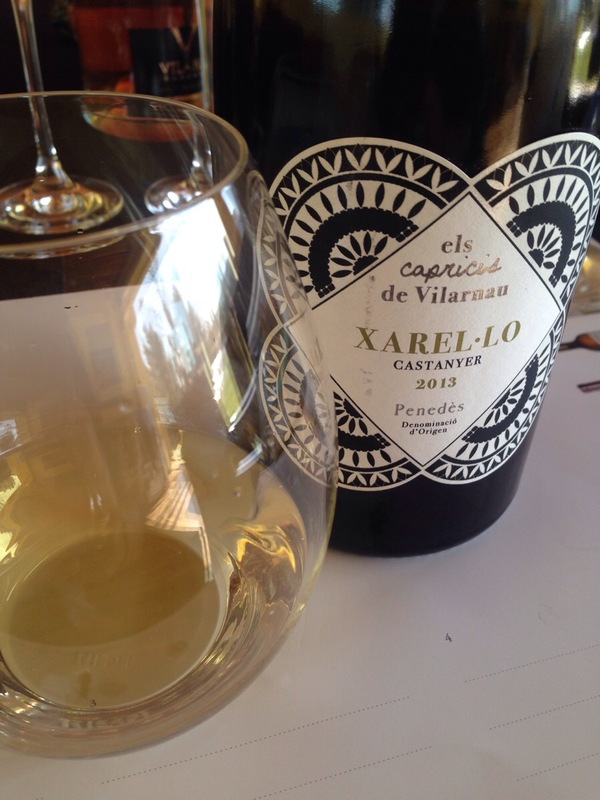 The still wine, called Els Capricis de Vilarnau is a 2013 vintage. I found it to be very aromatic, hints of marzipan, flowers and a bit of tangerine on the palate, quite full bodied and a good match with the plate of jamon we just happened to have alongside us. 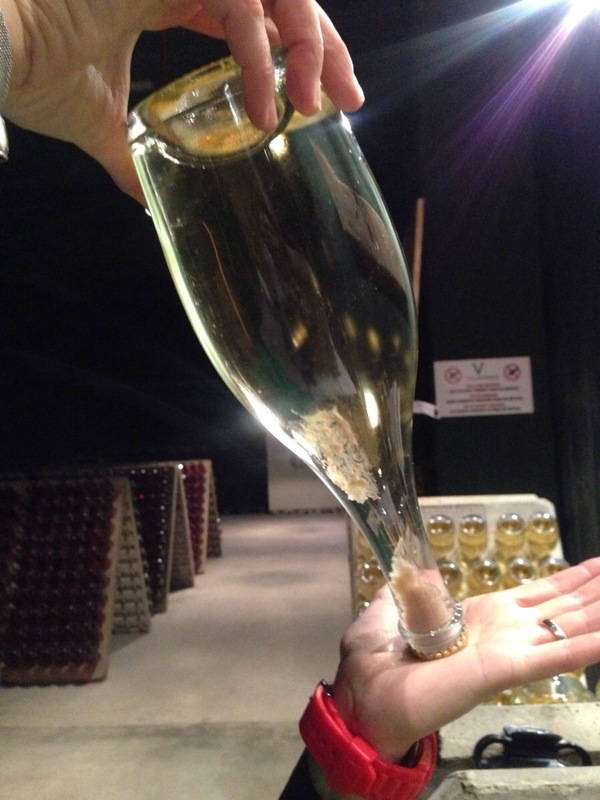 The cava, which goes by the same name was from the 2012 vintage and is a reserva brut nature. What that means is that it was aged for a minimum of 15 months, although Vilarnau ages their reservas longer then required and the brut nature has between 0-3 grams of sugar per litre. The cava had a honeyed, acacia nose, long on the palate and quite fresh with a hint of salinity at the end. After awhile, I found the nose opened up and aromas of apricot jam emanated from the glass. It certainly was a different kind of cava, much more savoury than most. Both wines are very small productions, currently, they only make 4000 bottles of each. 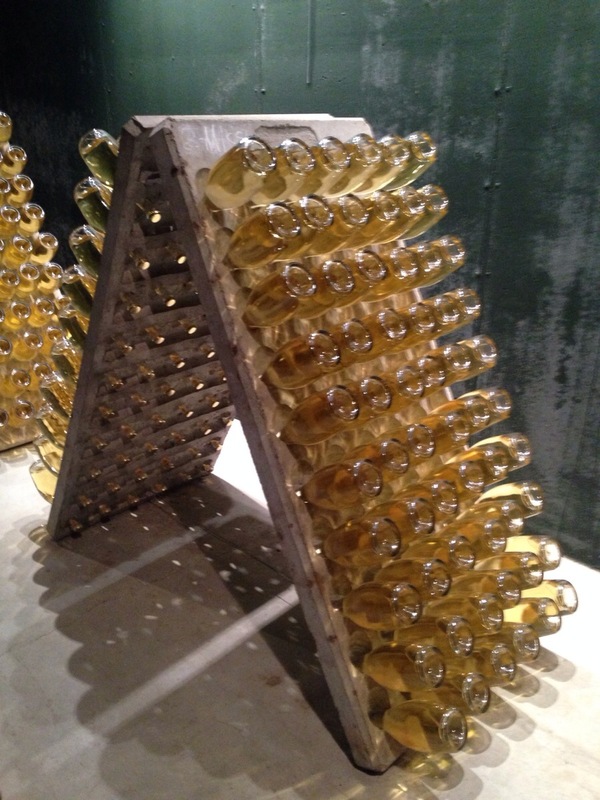 This particular cava also goes through remuage rather than being put in the gyropalette. 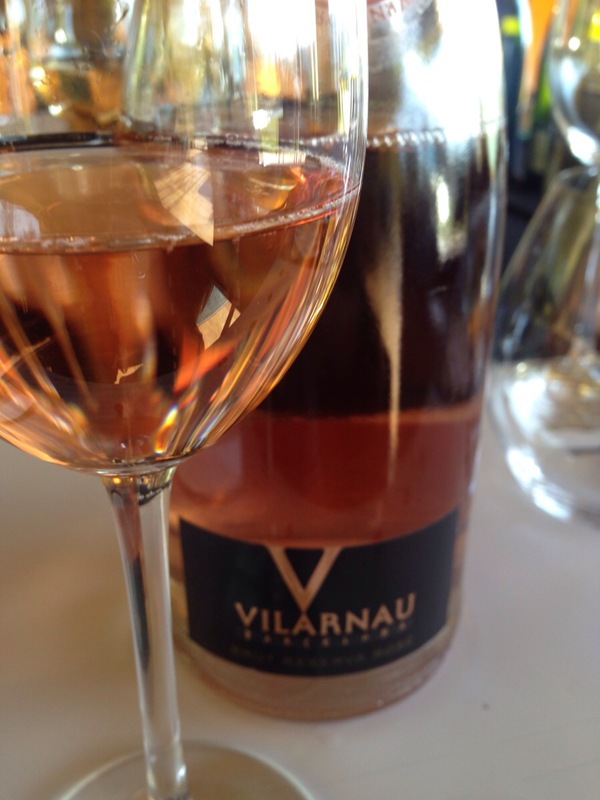 Vilarnau also make rosé cava and I tried their 2012 Reserva rosé. I love rosés and this one, made up of pinot noir and the indigenous variety, trapat was a pale copper colour. Eva explained to me that they macerated the must for only 3 to 4 hours to obtain the light colour. She commented that normally Spanish rosés are much darker but that they made theirs lighter for the international market. A fruity but dry rosé, loads of cherry and strawberry on the nose and palate. I really liked this rosé with the cheese and charcuterie that was served along with it. 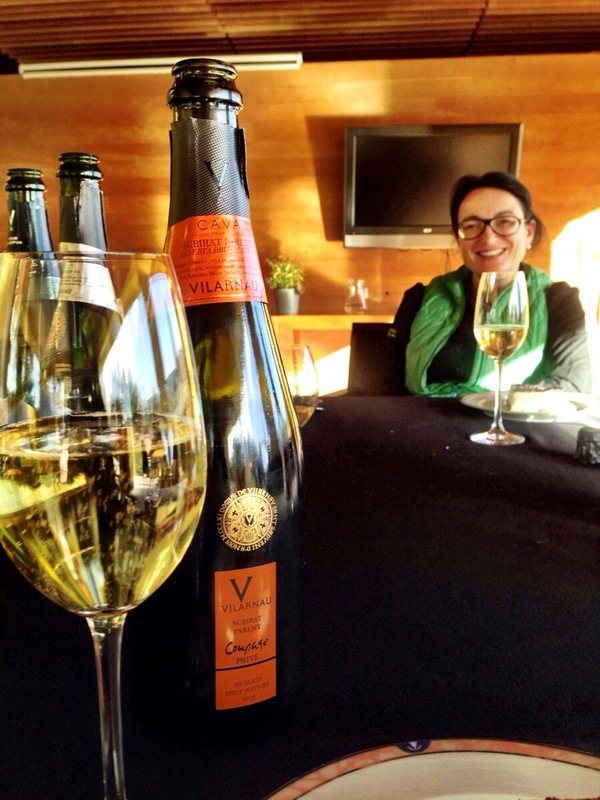 Eva believes that cava should be a gastronomic wine and she aims to make cava that can pair well with food as well as be drunk on its own. The last cava we tried was the most interesting one, a 100% subirat parent. This grape is indigenous to the region and used to be quite common in the area. At one time, there was 33,000 hectares in the region but in the 1960’s most of it was grubbed up because it was susceptible to botrytis and gave very low yields. Today only about 72 hectares exist in Penedes. Eva related the story of how one grower has grafted the subirat parent to old vines to keep it going. Subirat parent is part of the malvasia family and is also known as malvasia riojana. How did it taste? Like rosewater and tutti frutti – but in a good way! Despite that tutti frutti-ness on the nose, it was dry on the palate with a saline/mineral quality to it. Believe it or not, this was excellent with our tiramisu dessert. All in all a very interesting visit. I certainly did learn a lot about cava. This visit to Vilarnau has now whetted my appetite to know more about the region and it’s wines, both still and cava. A big thank you to Vilarnau and to Eva for hosting me on my visit.